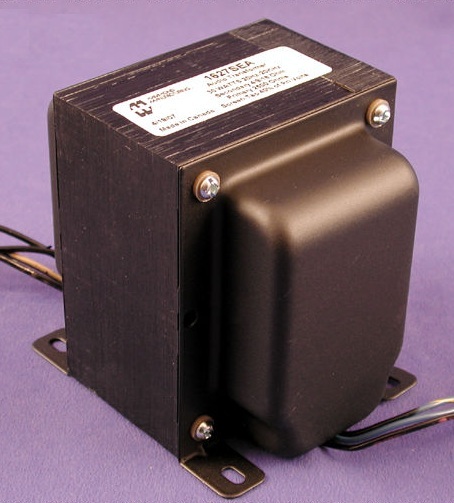 In this page, let’s look at the 801A output transformers in detail. This is the 2nd article about the 210, 10, 10Y, 801A or VT-62 triode. In the previous articles, we talk about the history & characteristics. 10 / 801A vacuum tube. Click here to get to know more about the 10 / 801A vacuum tube. 10 / 801A vacuum tube applications. Click here to get to know more about the 10 / 801A vacuum tube applications. The 10 / 801A tubes need load resistances of 7.8k to 15k Ohms, depending on the bias and the operating mode. We’re lucky as currently the 211 and 845 requires the same primary impedance. So, the selections are plenty nowadays for a high primary impedance output transformer. The main parameters to look at for an 801A output transformer are as follow. Of course, that alone will not dictate the sound but that is a good base to start with. This is the most interesting part! Output transformer selection! So far, the one that tops my list are the Lundahl LL9202, Hammond 125ESE (budget) and the Hammond 1638SEA. Lundahl LL9202 is gapped at 50mA with primary inductance of 100H and primary impedance of 11k Ohm. The maximum power, single ended, at 30 Hz for Lundahl LL9202 is 25W with a transformer loss of only 0.5dB. If I’m unhappy with 11k Ohm load, I can reconfigure it to 6.5k Ohm load but with a higher loss of 0.8dB (still reasonably low) but with a heightened maximum power of 50W, single ended, at 30Hz. It is quite flexible and allows me to try with 2 different 801A operating points. So far, this is the only one that I find satisfactory to my operating conditions. 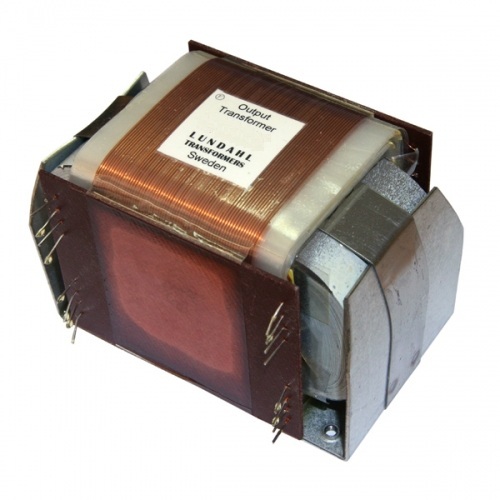 Lundahl has come up with other high primary impedance output transformers, the LL1691B/70mA and the LL2735B/30mA. I did not get them as I would stick to the rule of thumb of having at least 9H to 10H per kilo-Ohm of primary impedance required – for better low frequency loading / response. Hammond has a full range output transformer that fits this application, the Hammond 1638SEA, but it is U$172 a piece (based on 14/7/2011 publication date), no longer fitting the budget price range but still on the affordable price side. One thing I like about Hammond 1638SEA is the primary inductance: of 88H. I’ve used the Hammond 1627SE and 125ESE in the past with great results. 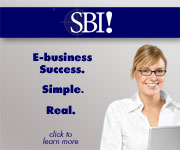 So, get this with high confidence! The only down side (or is it?) is the weight of 11lbs, but remember you’re getting a lot of iron, and headroom on this, not to mention that it is tested for 20Hz to 20kHz at FULL RATED POWER. You can even do a parallel 801A if your speakers are power hungry enough! The Hammond 1638SEA is gapped for 90mA DC bias and that’s exactly twice the operating current I recommended previously. All the above output transformers cost over U$100 making the project quite expensive. If you’re concerned about budget, the Hammond 125ESE is the one to consider. It is only U$51 a pieces (based on 14/7/2011 publication date). It is not a true HIFI output transformer though as the official frequency response is only 100Hz to 15kHz (+/-1dB) but I feel that it sounds good enough if one is not too concerned about the extreme highs and lows. 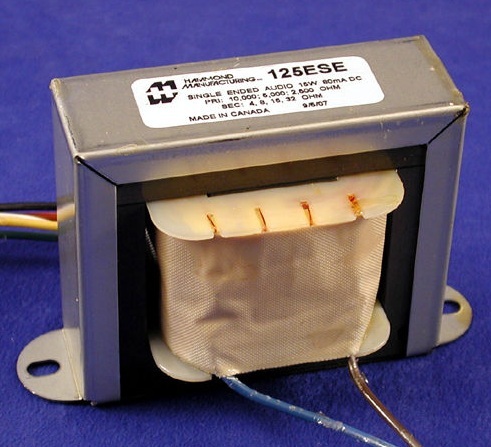 The Hammond 125SE series of output transformers is quite flexible with 2.5k to 10k Ohm primary impedance, and output taps of 0, 4, 8, 16 and 32 Ohms respectively. You can play around with it on almost loading you like with the 801A tube! You can play with the bias current, primary impedance and output taps. In addition, you can also use it with other tubes! If you’ve experience on the above output transformers, do let us know how they work and sound. Alright, that’s all for now. Coming up next would be the actual 801A amplifier design article itself!